While walking along the River Lee Navigation (a canal that’s not really a canal) we watched some hippies floating their boats through a lock. Timothy found a sign on a bridge by the lock which warned that the bridge could hold only a tonne. 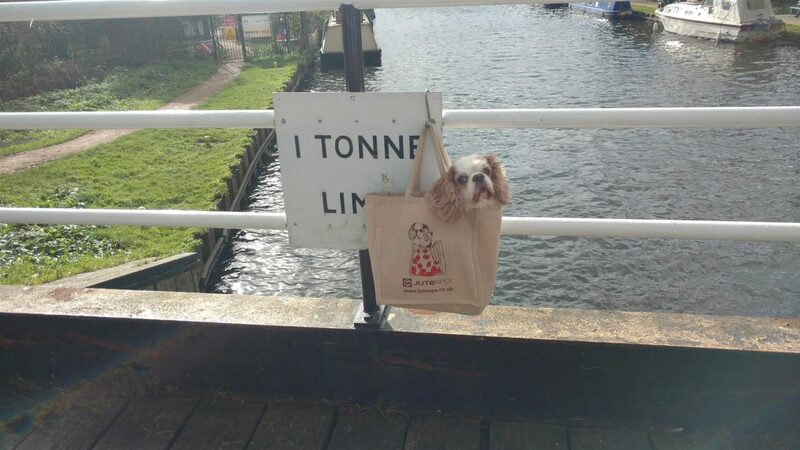 While in his bag on a long walk, he’s heavy, but not that heavy!